DUTCH coach Erol Akbay has hinted he could quit Highlanders and go back home if the Bulawayo giants do not improve his welfare and honour his contract. 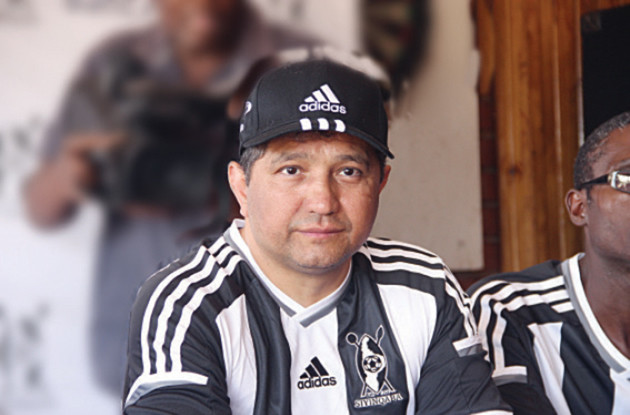 Akbay skipped some of the club’s training sessions this week, with Bosso officials saying he wasn’t feeling well, amid a wave of speculation that he was protesting against the team’s failure to honour his contract. He is back at work now. “Everything, for now, is done and everybody is happy. It will, however, be hard for me to work because of the situation here. I can’t send my six months’ salary home and one day I might think of going back home,’’ said Akbay. “I am not a rich man back in my country and my family needs the money I am getting here. I have two children — a boy aged 13 years, who is in high school and my seven-year-old daughter, who is attending basic school. They both need school fees and the schools are very expensive. “I have to cater for my family’s needs from the salary I am getting here and I think it will be hard for foreigners working here. At times you have to fight to get what you want or what has been agreed upon. “Some of the foreigners here might be forced to leave one day but the truth is I am happy to be at Highlanders. He warned his troops against underrating Shabanie.